This noise collaboration does a lot of damage in four songs. 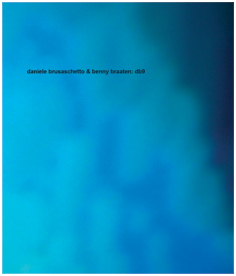 Recorded in Italy at Brusaschetto's house while Braaten was touring there under the Origami Galaktika moniker, "Db9" (a play on both Brusaschetto's name and Braaten's other project, B9) is pedal effects heavy, mostly recorded by Braaten on bass and field recordings, and later knob-twisted by Brusaschetto. Surprisingly, for such a process, the four tracks (titled "Uno" through "Quatro") are not all that repetitive, nor are they pure noise. There is a feel of direction and purpose, and progression, rather than merely a loop, of sounds. It isn't until "Tre" that the bass truly comes out from the mix in full force, and is a fine lead into four "("Quatro") which has elements of a space jam, with enough industrial menace to end things on a high, just not on a comfortable high.